All songs written by Tony Kakko except "Nothing More" by Henrik Klingenberg. appears courtesy of Sony Music. Recorded at RockVallery-Studios, Finland, engineered by mr. P. Rockvallery. Female vocals on "Deathaura" and "No Dream Can Heal a Broken Heart" by Johanna Kurkela appears courtesy of Warner Music. Recorded at Great Sounds Studio by Kime Klemettinen. Orchestral arrangements by Mikko P. Mustonen. Drums and bass recorded at Tico Tico Studio by Ahti Kortelainen. Guitars recorded at Fantom Studios by Samu Oittinen and at Magic 7-Studios by Elias. Keyboards recorded at Lanceland 2 by Henrik and at Kakkos-studio by Tony. Hammond organ recorded at Studio 57 by Pasi Kauppinen. Mixed at Finnvox Studios by Mikko Karmila, in June 2009. Mastered at Chartmakers by Svants Forsbäck, in June 2009. Band photography by Toni Härkönen. 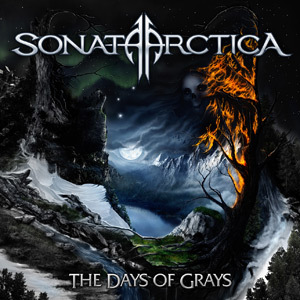 Produced by Tony Kakko & Sonata Arctica 2009.